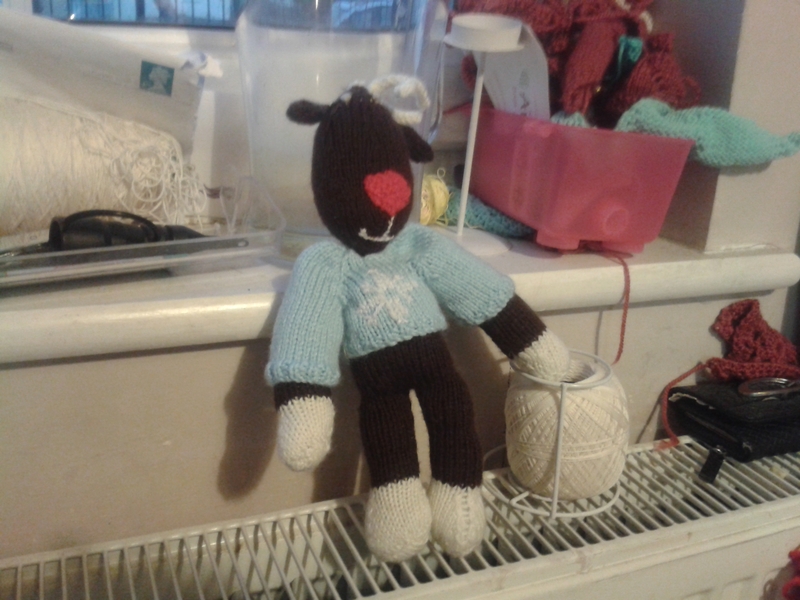 In between cuddling my gorgeous grandson I’ve also been knitting and crocheting away. In the run up to Christmas I made up 2 custom orders and created a range of Christmas gifts for family and friends. I’m still working on my Dad’s final sock as I’m seeing him next week for a belated Christmas! I made 2 pairs of these, 1 in red chunky yarn which were much longer in the arms, specifically for school runs. 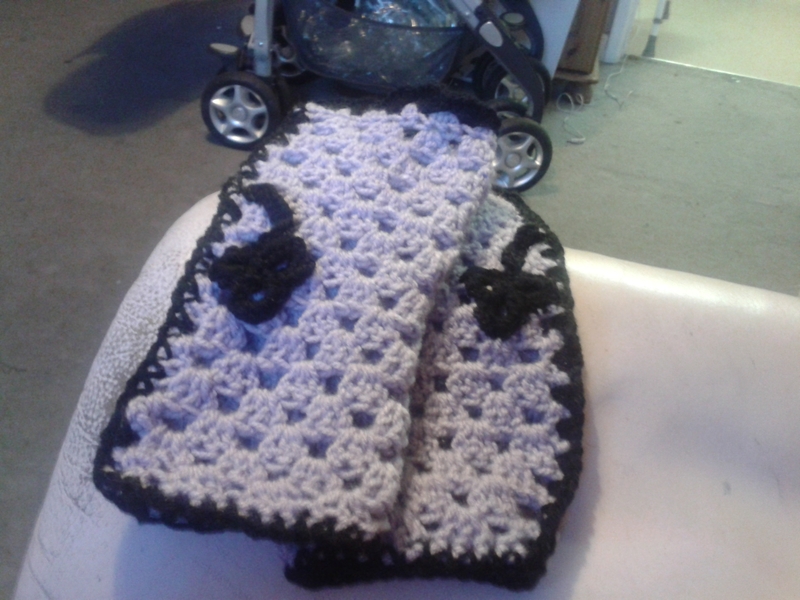 This pair were made for a friend who loves lilac and black and I added a shamrock accent to each glove to echo her Irish roots. I really enjoy making personalised designs that say something about the person I’m making them for. 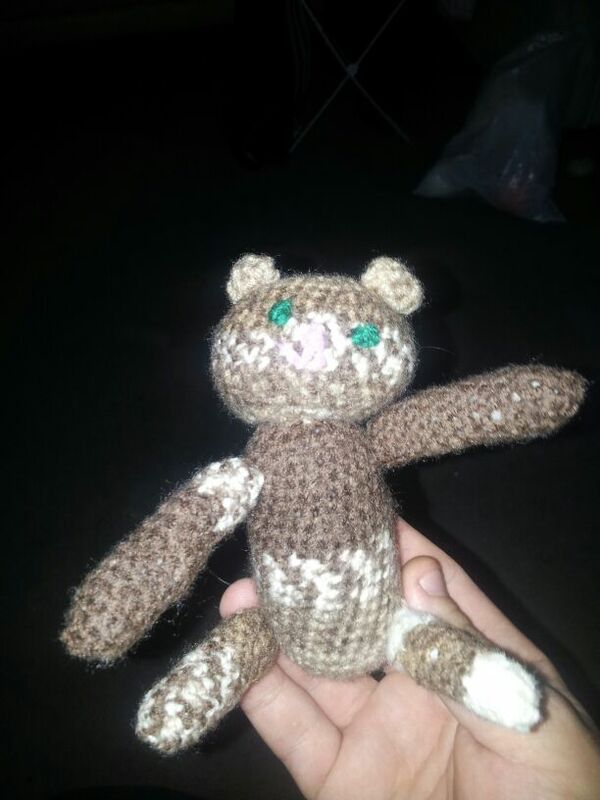 Made for 2 little boys who love kittens. Apparently they are rarely put down and their own kitties now have a bit of a break. 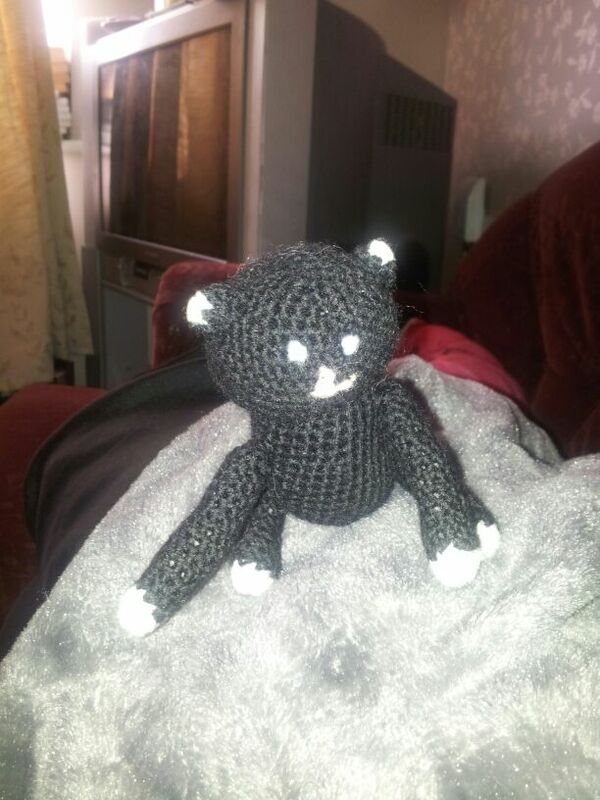 I used a variegated yarn for the brown cat and a brushed DK for the black cat which gave a beautifully soft feel to it. 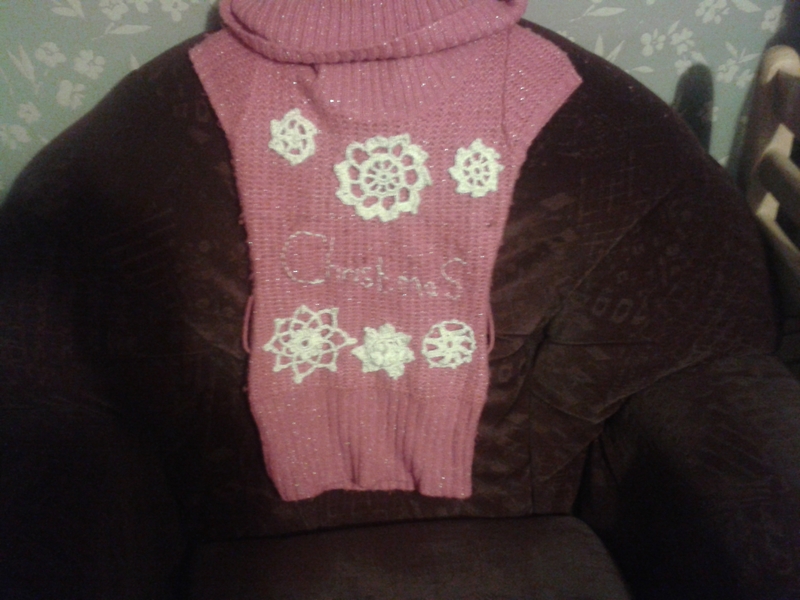 A friend’s children needed Christmas Jumpers from school, so she arrived with 2 charity shop jumpers for me to embellish. 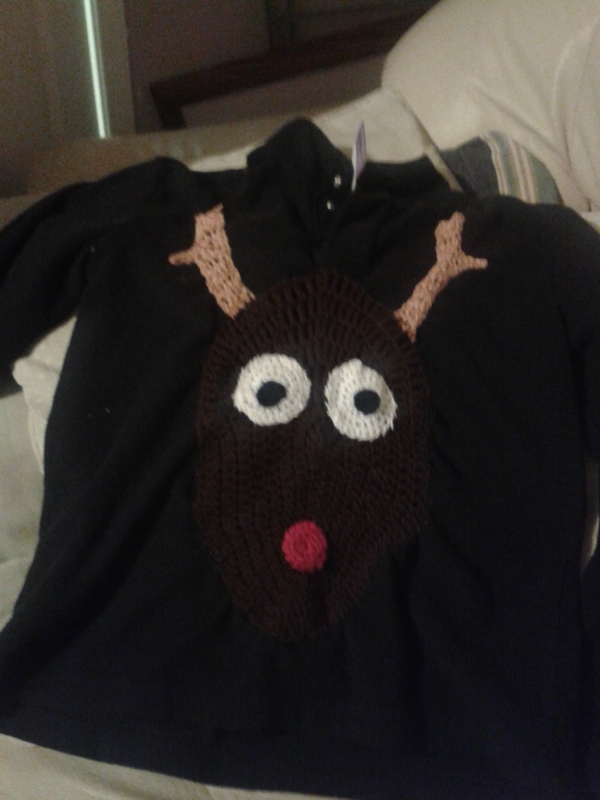 For Rudolph I crocheted a motif and then added crocheted eyes, nose and antlers. Both jumpers were very popular and frequently worn by both children. 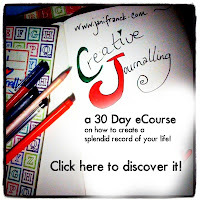 Its given me an idea to pursue in the coming months! I picked up a couple of commissions at a local craft fair. I was helping my daughter assemble her reindeer and was asked to make another. 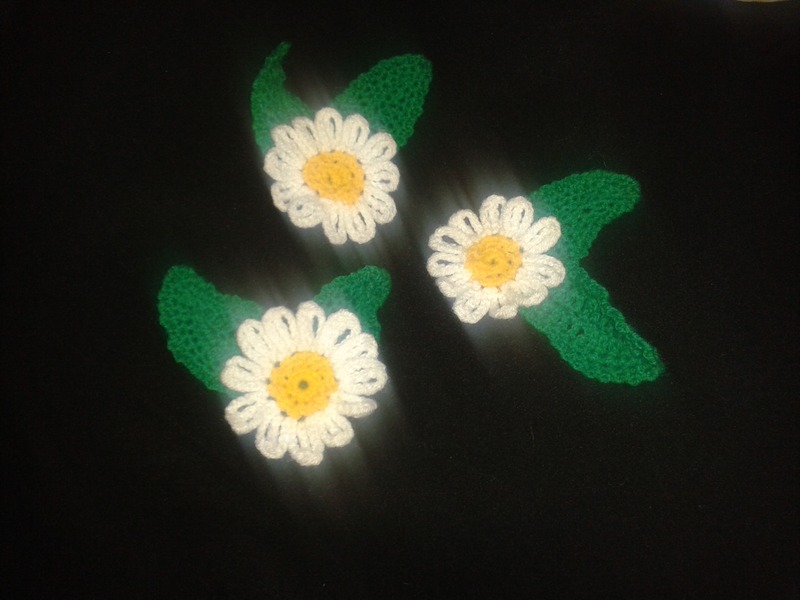 The other lady is passionate about daisies so designed and made her a trio of brooches. 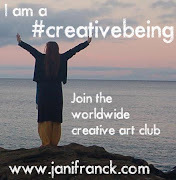 Do you think its worth making brooches in batches of 3 that match or co-ordinate? I also made a beautiful crocheted beanie in a green DK shot through with primary colours, complete with curly tassels hanging from the crown for a friend who loves mad hats, a chenille cowl for a friend who’s a dinner lady and needs to keep warm and some bathroom accessories for my brother’s fiancee which I will show when she has had them delivered. I’m also working on a special present for another friend which got a bit delayed as I was shattered from being a birthing partner and then went a caught tonsilitis! 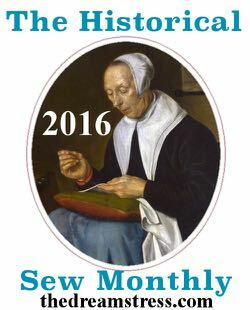 Now I’m better the needles are flying as I start my next batch of special commissions.